Understandably, it is hard to think of chocolate as bad. However, there are certainly types of chocolate that are superior to others. How does one tell? You could invest long hours and effort into trying them all, or you could start by sampling and comparing some of these popular brands. This boutique chocolate is made in Berkeley, California.. The company was recently bought by Hershey, but so far it has not destroyed this sinfully dark, rich, creamy confection. If there is one thing the Swiss know besides watches, it is chocolate. Lindt is an expert Swiss chocolate maker, renowned the world over. If you are eating Valrhona, you can't go wrong. Use a few bars to make a flourless chocolate cake, and you'll never look back. Organic doesn't have to mean it isn't gourmet. Dagoba offers organic chocolate bars with a variety of exotic flavorings. Does the best chocolate in the world come from Italy? 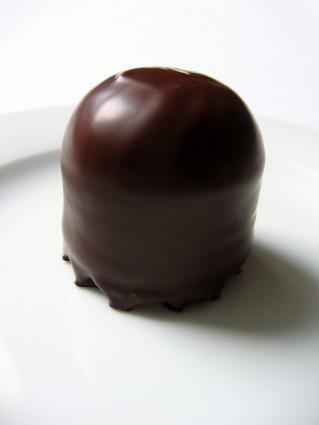 The Academy of Chocolate in London has declared it the best in the world. They seem serious about this chocolate delight. Bonnat specializes in single origin chocolate bars. They have made chocolate purity an art. This chocolatier is most known for their boxes of chocolates. Don't discount the Netherlands when it comes to chocolate production. Those cold, Nordic winters apparently lend themselves to the making of rich, dark confections.